Mississippi has enacted policies that are considered a model for trauma system development by other states. Much of the success of Mississippi’s system is derived from a stable funding structure established in statute. Recent statutory changes threaten to weaken this structure. The Center for Mississippi Health Policy has prepared an issue brief that summarizes the impact of these changes and explores options for strengthening funding for the system. In 2008, the Mississippi Legislature enacted HB 1405, providing a steady funding stream to support the state’s trauma care system. Key to the funding structure were assessments and fees targeting risky behaviors associated with trauma care. 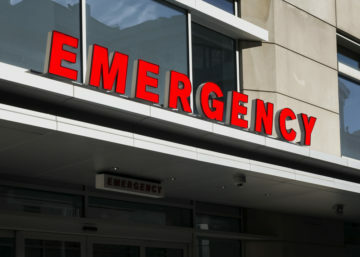 A 2012 study published in the Journal of Trauma Care and Acute Care Surgery lauded Mississippi’s trauma system and suggested it should be a model for other states. At the time of enactment of the 2008 law, it was projected that the new assessments and fees would generate over $30 million in additional revenue, which could be added to the $8 million already deposited annually in the Trauma Care Systems Fund. 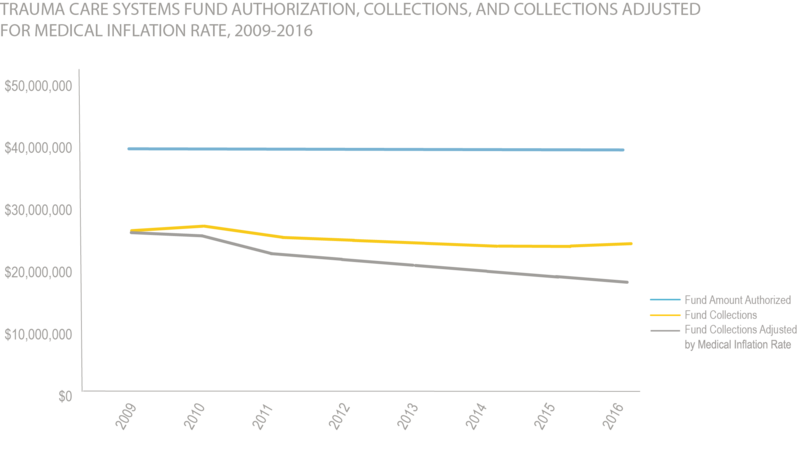 Collections, however, have been less than estimated, averaging about 60 percent of the authorized amount from 2009 to 2016. When the amounts are adjusted to account for medical inflation over the time period, the funding levels were even lower. During the 2016 regular legislative session, the Mississippi Legislature amended some of the state funding mechanisms that affected the trauma and emergency medical services (EMS) systems (Mississippi Code § 99-19-73) by redirecting certain fees and assessments from the trauma and EMS funds to the State General Fund. The total amount redirected is approximately $9 million annually. Research has documented the success of the trauma system in Mississippi as established by the State Legislature. Key to sustaining the system is maintaining a stable source of funding. Recent statutory changes have the potential of seriously reducing the revenue designated to support the system. Implement the Medicaid EMS Upper Payment Limit Program (UPL) authorized in law using trauma funds for the state match. 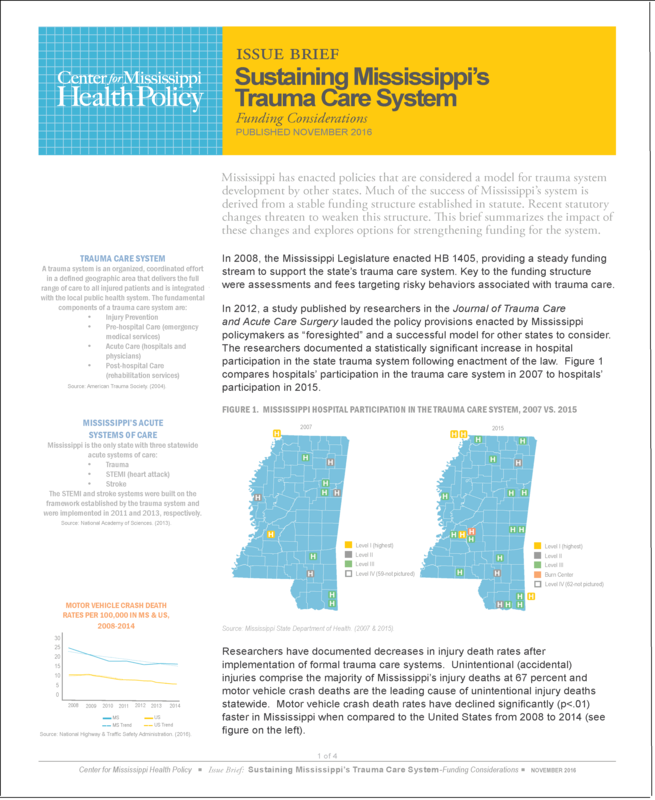 Details regarding Mississippi’s trauma care system, the funding changes enacted in 2016, and a review of alternative funding sources can be found in the issue brief. To download a copy of the issue brief click HERE.